from the liner notes: "recording this album was the most fun i've had since touring with fz". this is walley's solo premiere release on this artist-run label, and ranks as one of the top european blues releases. 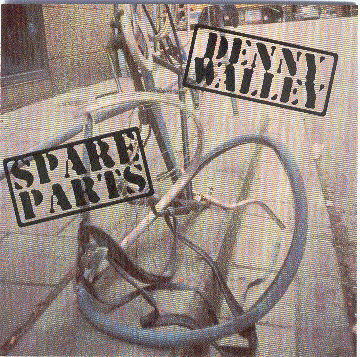 on spare parts, denny pays homage to his mentors with songs from legends like hound-dog taylor, muddy waters and lightnin' slim. the album reflects these influences in a collection of raw classic blues. it's a no-frills live atmosphere album done in three days, featuring mats oberg on keyboards, morgan agren on drums, jimmy agren on guitar, and rolf hedquist on bass. walley's playing is gritty and exciting. he has a keen sense of drama, particularly when using a slide to solo or embellish vocal lines. his deep, slightly gruff voice matches the mood of the songs well. the album is living proof that walley is among the finest straightahead blues guitarists.